The Mothers Without Borders 6th Annual Charity Boutique will be held this year on November 4th and 5th at the Greek Orthodox Church in downtown Salt Lake City, Utah. In the past, the Boutiques have raised thousands of dollars for orphans in Zambia. 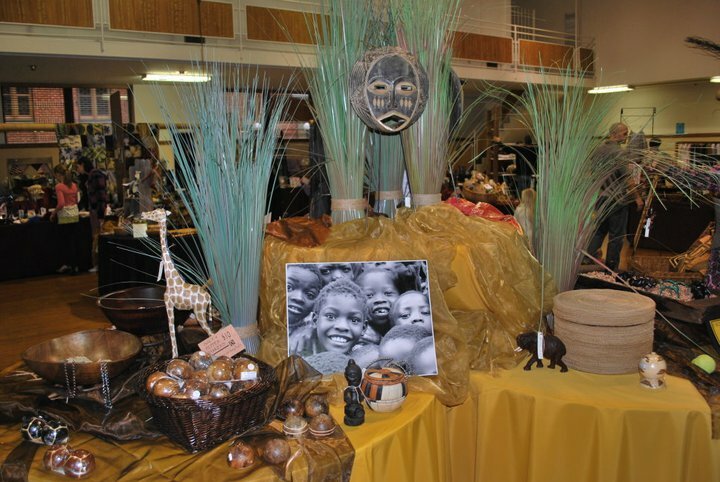 These events feature handmade crafts and goods that are donated from local Utah crafters as well as beautiful treasures made by the orphans, women, and craftsman of Zambia. The Boutique is organized by Mothers Without Borders volunteers who generously give their time and talents. The Boutique organizers recognize that the event offers Zambians an incredible opportunity to sell their goods with 100% of the profits returning to their communities. Each piece comes with a story and many of the handmade pieces come with a photo of the artisan. This year renowned Christian artist Liz Lemon Swindle will be in attendance to sign copies of her African Painting "Worth of a Soul". All proceeds from the sale of "Worth of a Soul" are donated to Mothers Without Borders. Also our Zambian Program Director, Josephine Daka, will be available to talk about her work with Mothers Without Borders & answer questions. To learn a little more about Mothers Without Borders, you can watch this KSL video. You can also connect with them on facebook. Mothers Without Borders was started by Kathy Headlee Miner in 1992 in response to the global orphan crisis. Since it's inception MWB has worked in Romania, India, Bolivia, Honduras, Ecuador, Mexico, Zambia, Indonesia, Zimbabwe, Madagascar, Guatemala, Northern Uganda, Sudan and the US. 1. Strengthening Families by helping them improve food production, increase income and job skills, AIDS awareness, education and prevention. 2. Empowering Women through literacy and education, skills training, micro credit loans and stipends for those willing to raise orphans as their own. 3. Protecting Children found in child headed households by providing them with a safe place to live, clean water and food, grief counseling, education, HIV awareness, medical care, skills training and caring adults to encourage and guide them. • Visit a 'typical' hospital and the unit that cares for pre-mature babies. Follow and learn from a home-based care worker as she visits TB and AIDS patients in their humble homes in the outskirts of the capital city. • Help with simple construction, i.e. one room schools, poultry houses, dormitories & village homes. Dig trenches, make mud bricks, clear farm land at our Family Resource Center. caregivers and children. Sing, dance & play with the children. • Assist our able staff as they teach AIDS awareness and prevention to widows and orphans. • Teach sewing, knitting, crocheting and other simple skills. • Assist with health screenings in a local village. Please feel free to share the Boutique details far & wide. I now live in Arizona, but will be flying back to Utah for this boutique. Their crafts are so unique..and the fact that all the proceeds go to this amazing program makes it even more worth it. So excited!! !